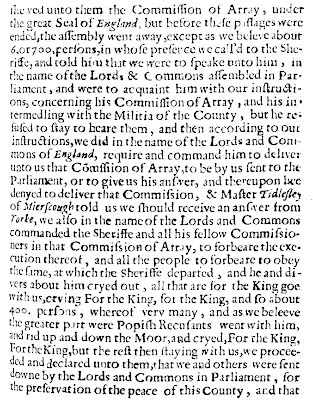 The English Civil War formally commenced when Charles I raised his standard at Nottingham on 22 August 1642. Your humble servant, Alex. Rigby. 1. 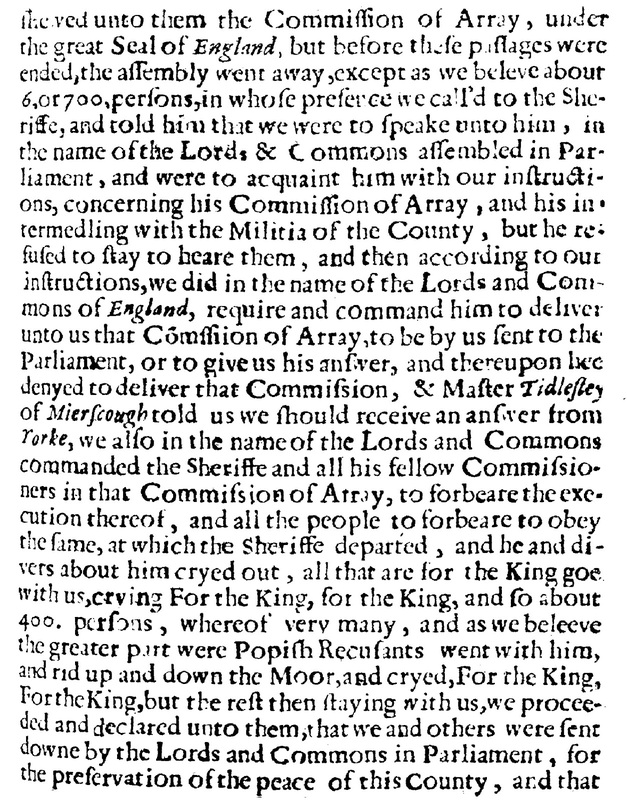 Severall letters from the committees in severall counties to the honourable William Lenthall Esquire, speaker of the House of Commons, read in both Houses of Parliament, Iune 27, 1642 : wherein, amongst divers other passages very remarkable, is related how the townsmen of Manchester put themselves into arms, and stood upon their defense against the Lord Strange and his forces, who came to seize on the magazine : with an intercepted letter from Sir Edward Fitton, to Sir Thomas Aston at York, discovering a fowl designe of the malignant party: whereunto is added severall votes of both Houses, Ralph Ashton, 1642.